Crooked Lane Books, 9781629538334, 320pp. When Deputy Ken Brody's sweetheart goes missing in the mountains outside Timber Creek, Mattie Cobb and Robo are called to search. But it's mid-October and a dark snow storm is brewing over the high country--and they're already too late. By the time they find her body, the storm has broken and the snow is coming down hard. While Brody hikes down to bring back the forensics team and veterinarian Cole Walker gathers supplies to protect them from the storm, Mattie and Robo find themselves alone, guarding the gravesite overnight in the dead of the early winter. 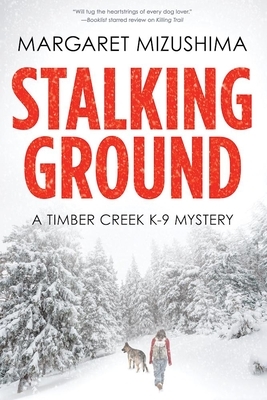 And that's only the first long, dark night in a series of them, because as their investigation develops, Mattie, Robo, Brody, and Cole find themselves in the middle of the killer's stalking ground--with no way out unless they can catch a predator more deadly than any natural threat. Margaret Mizushima, author of the critically acclaimed debut Killing Trail, balances writing with assisting her husband with their veterinary clinic and Angus cattle herd. She lives on a small ranch in Colorado where they raised two daughters and a multitude of animals. This is her second novel.